From 1992 through 1998, the building that surrounds Scream's ride perimeter and queue area was actually an outdoor live entertainment venue. The venue was called the Loop Drive-In and was themed to the concept of a 50's car movie drive-in. 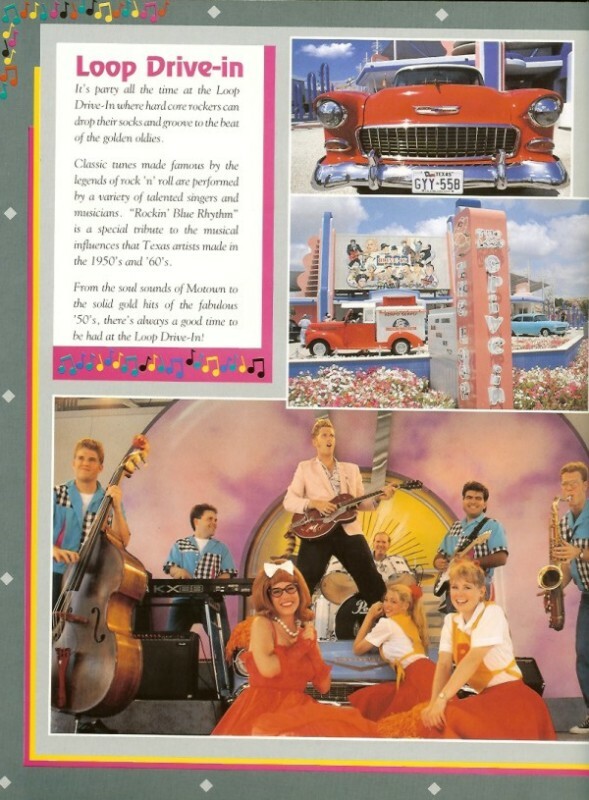 The theming featured old-fashioned cars that surrounded the venue as well. Shows inside the theatre included 50's rock with live bands, singers, and dancers. References to the Loop Drive-In were even found inside the former Rockin' at Rockville High show in Rockville High School. Today, all that is left from the old venue is the outer shell of its original building structure. 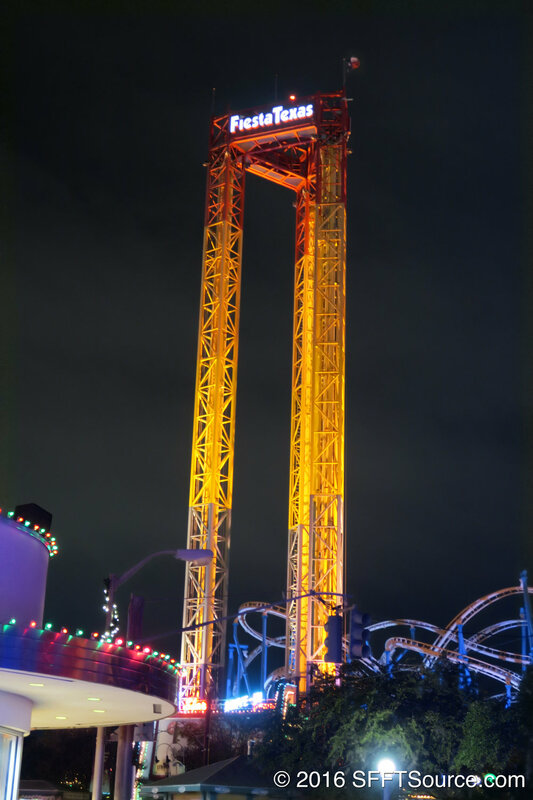 Take a closer look around next time you are waiting in line for Scream and remember that you are standing directly in the middle of one of Fiesta Texas' original performance venues. 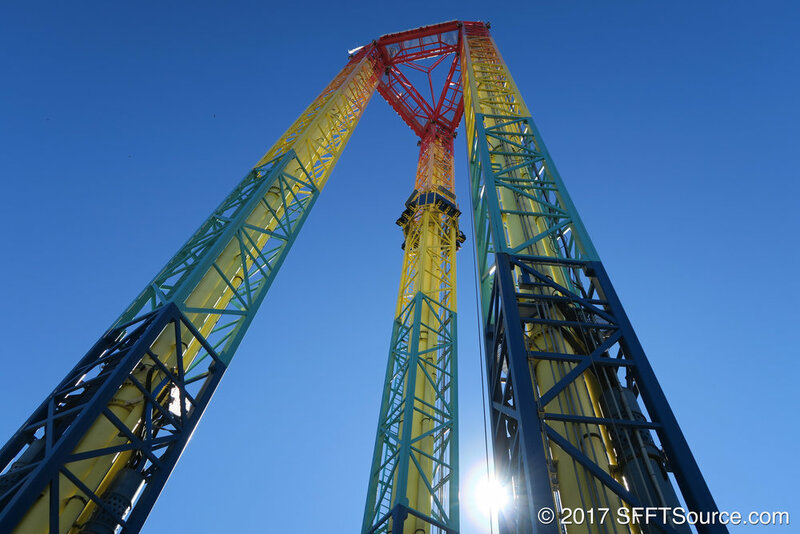 Two of Scream’s towers open on March 14. The third tower opens to the public on May 28. Drop of Doom, a virtual reality ride feature, is added to Scream from July 15 to August 21.